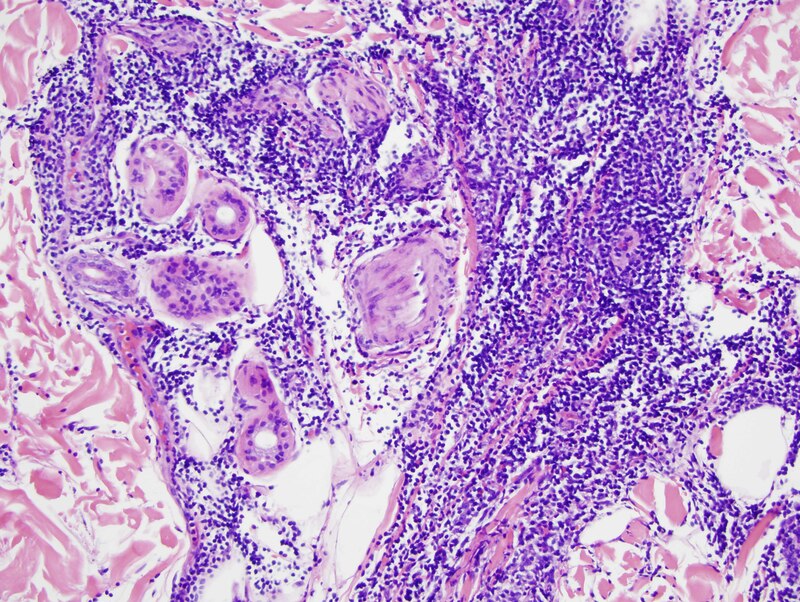 The findings in are those of a reactive lymphocytic infiltrate. 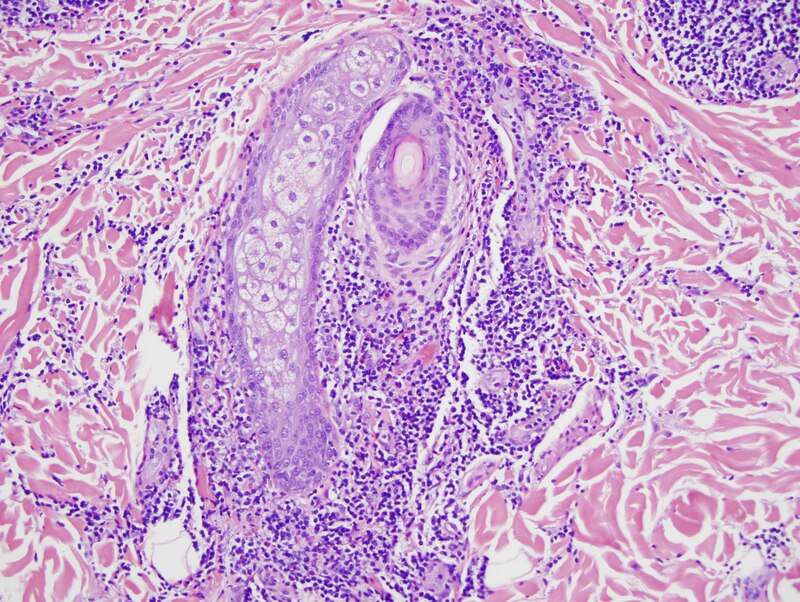 It is a lymphomatoid process because of the degree of lymphoid hyperplasia but the lymphocytes are benign without atypia. 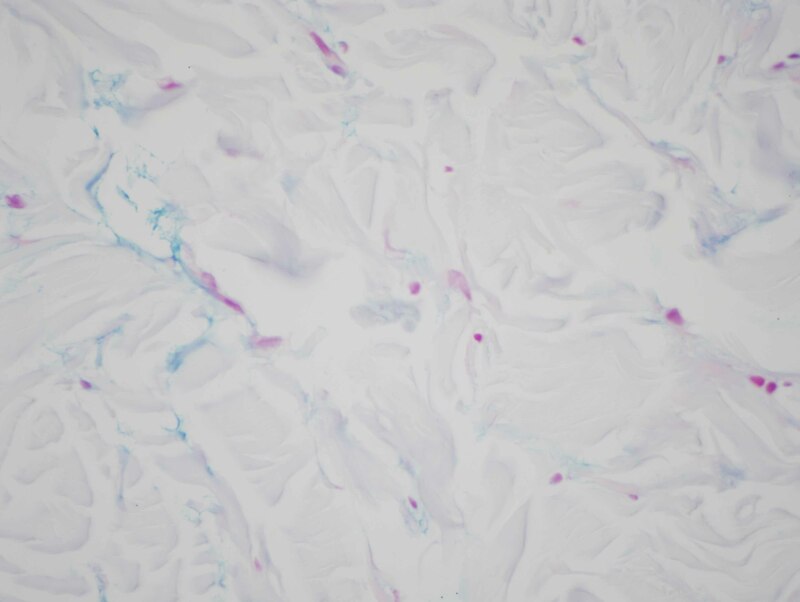 Overall, the light microscopic findings are quite characteristic for either discoid lupus erythematosus or Jessner's lymphocytic infiltrate of skin. 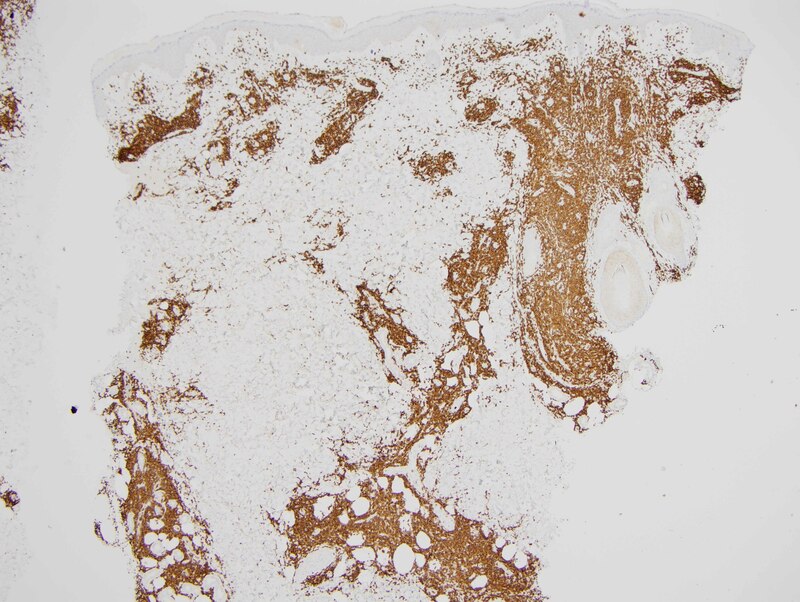 In this particular case, the presence of an interface dermatitis involving the interfollicular epidermis along with the degree of MXA staining reflective of a markedly upregulated type 1 interferon microenvironment would be findings more in keeping with non-scarring discoid lupus erythematosus/tumid lupus erythematosus. 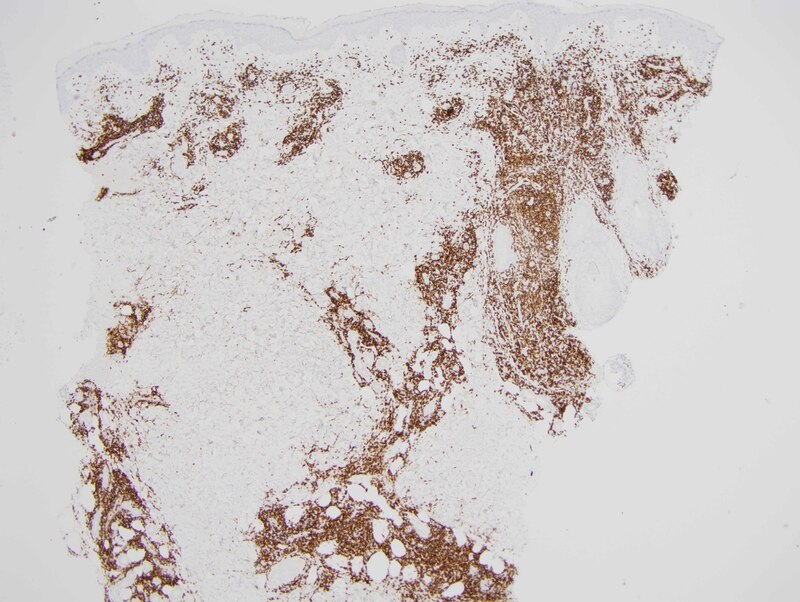 However, one could argue that the degree of CD8 lymphocytic infiltration with the minimal B-cell component is a finding that is more commonly seen in Jessner's lymphocytic infiltrate of skin. 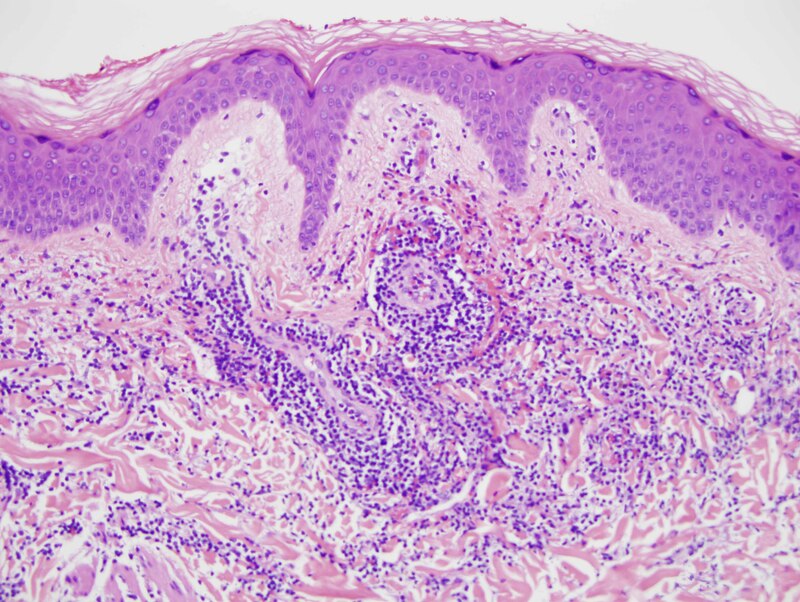 In fact, the controversy continues to this day regarding whether or not Jessner's lymphocytic infiltrate of skin and tumid non-scarring discoid lupus erythematosus represent two separate conditions or really define the same entity. 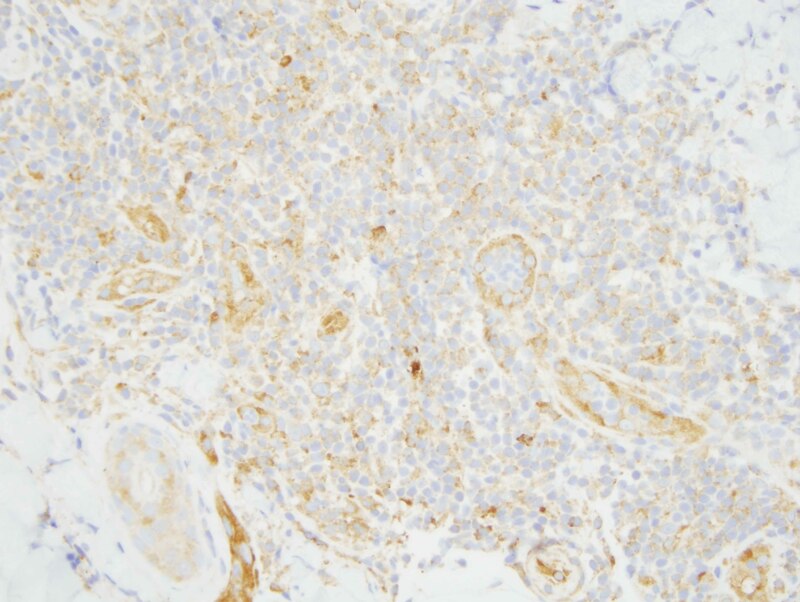 From a pathological perspective I think that cases of Jessner's lymphocytic infiltrate of skin characteristically show a predominance of CD8 lymphocytes without a CD20 B-cell component and there is no evidence of a type 1 interferon microenvironment. Nevertheless, given the significant similarity of these two entities from a clinical perspective and so much overlap histomorphologically, it would not be unreasonable to consider these two entities under the same nosologic classification. Either designation for this process likely has the same therapeutic implication which is one of steroids or Plaquenil. 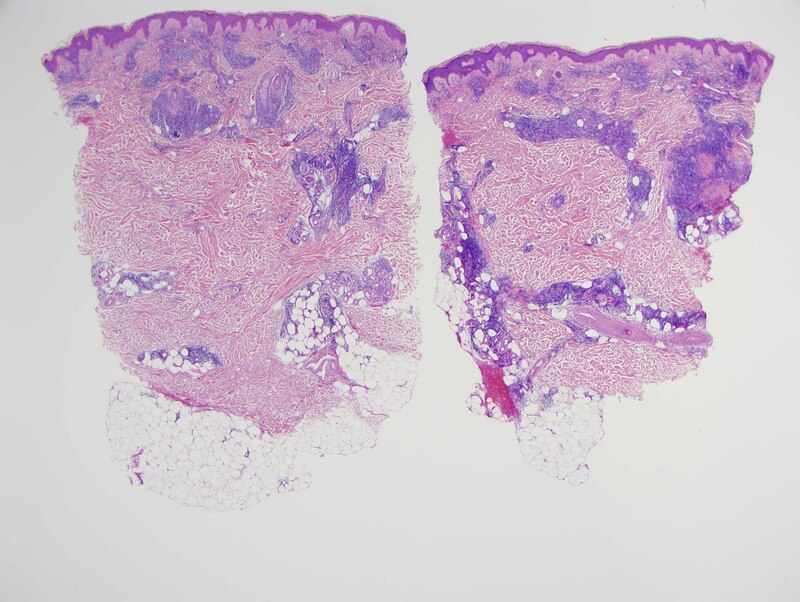 In non-scarring tumid lupus erythematosus and Jessner's lymphocytic infiltrate of skin, if one is to assume that they are two different entities, there is no significant association with extracutaneous stigmata of collagen vascular disease and serologic studies are characteristically negative.